Previous PostBoobies and Such Encountered In The GalapagosNext PostDear CVS, Homeopathy Is Bunk, Stop Selling It! Very well said Dr. P, you’ve really put Apple’s shady business model into perspective here! Who was it that observed ‘A lie will be halfway around the world before the Truth has got it’s boots on’ ? I have been using my Kardia band since it came out and getting details monthly reports. I, too have been sharing with my cardiologist. As a big fan of apple products I am concerned going forward. Will my watch with Kardia continue to be supported? I was hoping for a partnership that might make a better band. ( a more attractive one😳). So disappointed to see Apple’s approach to just leapfrog because they CAN! I’ve been following this area with interest too, Doc, as passive data collection interests me. 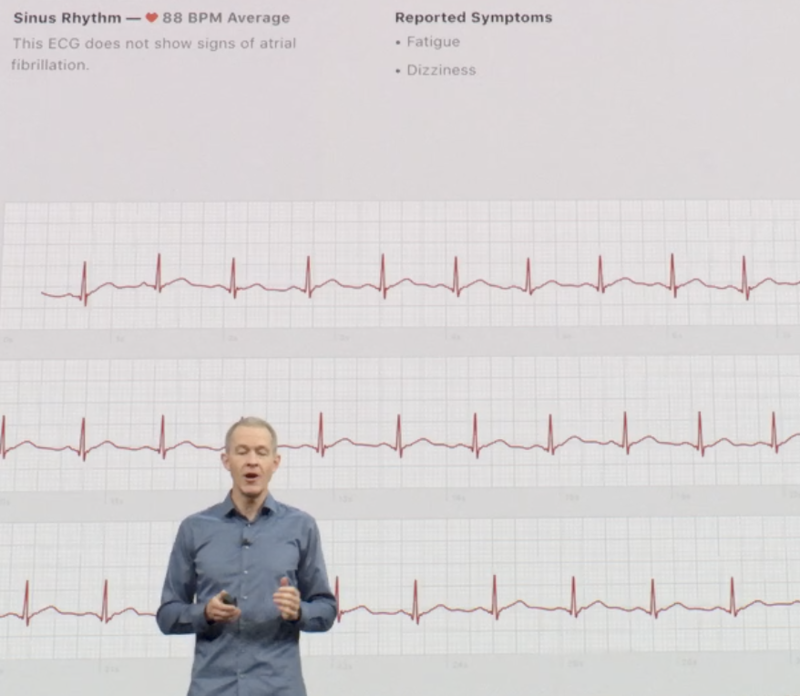 Cardiogram has been studying this separately (https://www.macrumors.com/2018/03/21/apple-watch-abnormal-heart-rhythm/), and Apple studied it in cooperation with Stanford University (https://med.stanford.edu/appleheartstudy.html), but I’d really like to see more data and time also. It seems that money can pay for speedy FDA certification yet again, while smaller companies with superior devices get left behind yet again. Sadly, the result is a big headline, with little substance behind it. Unfortunately, I find this to be a common occurrence, which leads me to be skeptical of most scientific research. Each study has to be carefully examined, biases confirmed and understood, results examined etc. I do see value in the Apple Watch as a smarter version of the “I’ve fallen and I can’t get up device”, and hopefully, within 2 or 3 years, the thing will be accurate and providing useful data. In the meantime, I’d just be happy if Apple would let me export my Apple Health data without that app choking and dying (granted I have more data than most). I’m confident we’ll have more fluff in future product, like great broken heart emoji’s, but I’m not confident this device will give me accurate information about whether I’m in NSR. Keep in mind that for my 14 months of constant A-Fib, my Apple Watch Series 3 device measured my heart rate at half the rate of my heart rate strap, because it was detecting the high speed flutter in the top chambers of the heart. The fine-print “ECG app coming later this year.” just sounds like “selling futures”. 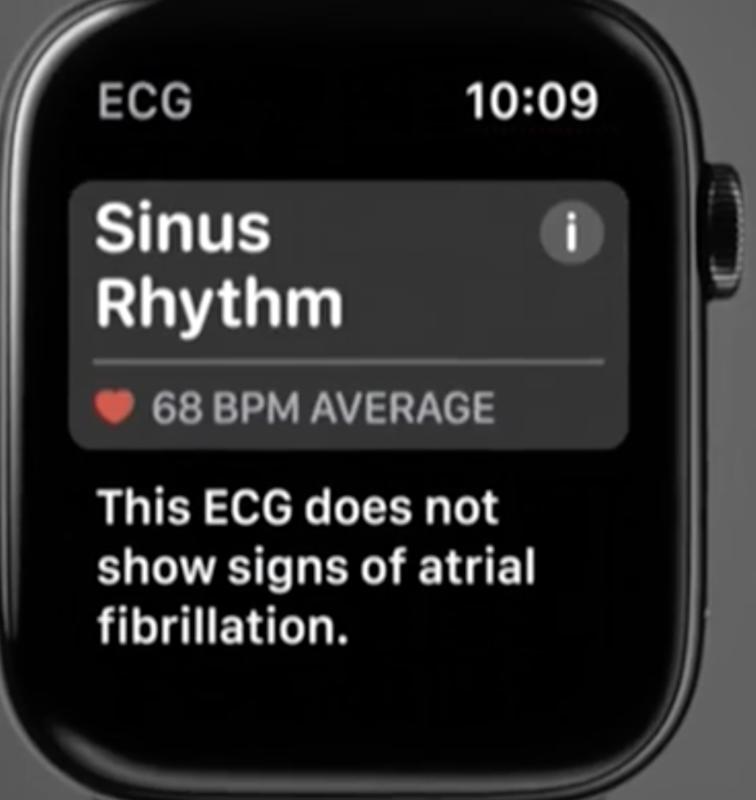 So the watch will be able to take an ECG, are they offering the “submit single ECG for evaluation”, and “subscribe for regular ECG evaluations” service? 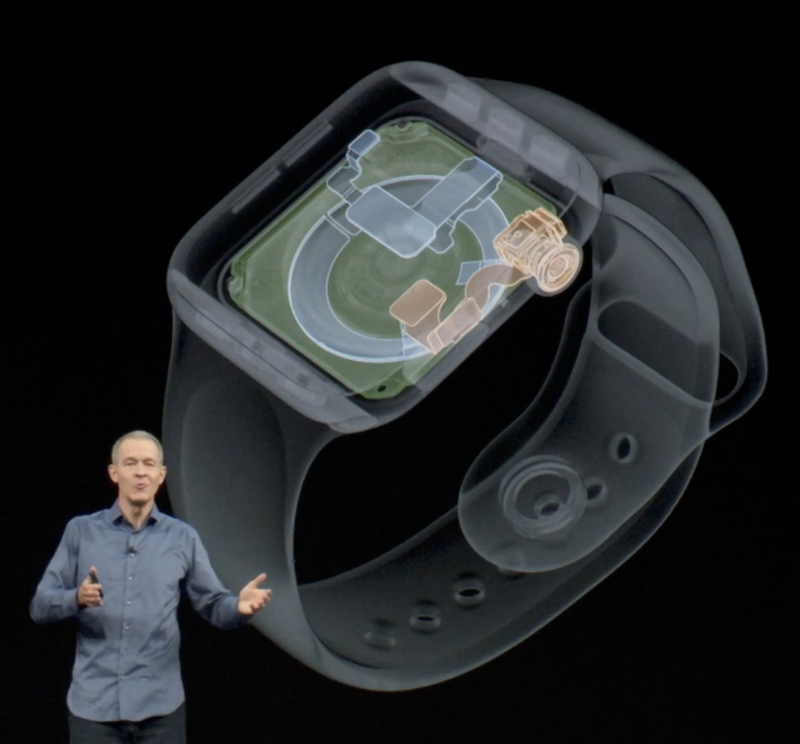 They have been running their own abnormal HR detection study publicly with Apple watch owners. Are they going to start a public ECG collection with abnormality detection study at this point? The way they are hyping it, without any details is just frustrating. Apart from the hyperbolic Fruity Marketing, has anyone wondered ‘where’ your EKG data is going to end up? – that you don’t know about. Some of those wrist monitors require a downloaded App for your phone, which “needs” access to your contact list, camera(s), GPS etc and warn that it’s activities may “cost you (call/data charges) money”. Just to be clear. My praise is for the 99$ Alivecor Mobile ECG device, not the Kardia Band. In my last post on this I mentioned that none of my patients have the Kardia Band. I’ve gotten a fair amount of email about the Kardia Band which is probably worthy of a separate post as time permits. Perhaps, if AliveCor people are reading this they can comment on you Kardia Band concerns. With regards to Amazon reviews, they are often unreliable. hi. which is better (accuracy etc) you think? apple watch 4 or cordia Alivecor Mobile ECG device ? Thanks for your insights on the Apple Watch roll out. Thanks. I’ve been trying to get AliveCor’s founder, Dr. Dave Albert’s comments but he tells me he is “too busy”.